Oncology, Pharmacology, Biochemistry, Molecular Biology. Dr. Abd Elmageed received his Ph.D. in physiology from Helwan University at Cairo in 2004 where he was also previously appointed as Assistant Professor of physiology until 2006. He completed his postdoctoral training at LSU Health Sciences Center, Johns Hopkins Medical School and Tulane University School of Medicine. His research focuses on investigating the molecular mechanisms that contribute to thyroid and prostate cancer development. His ultimate goal is to investigate the role of human stem cells in the development of the cancer disease using in vitro and in vivo models as well as human tissues. Exploring the role of nuclear receptors of steroidal hormones at different disease-stages and its implications in health disparity is another topic of his interest. He is an active member in many scientific associations and has been selected as a reviewer in several peer-reviewed journals. 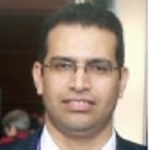 Dr. Abd Elmageed is a research instructor in the Department of Urology at Tulane University School of Medicine. His research interests include the cellular and molecular biology of prostate, breast and thyroid cancers. Prostate cancer is the most commonly diagnosed cancer in men and the second leading cause of cancer death in the U.S.
Dr. Abd Elmageed’s current research focuses on elucidating the role of signaling and tumor microenvironment on adipose-derived stem cells in prostate cancer (PCa). He is also investigating the differential expression profile of estrogen and its receptors (Alpha/Beta) in PCa based on race, age and genetic background. Tissue microarray (TMA), IHC, proteomics, microRNA arrays and other molecular techniques have been used in tissue culture, on animal models and in human samples to test this hypothesis. Dr. Abd Elmageed’s future research goal is to elucidate the role of miRNAs delivered by cancer-related exosomes in the induction of neoplastic transformation of adipose-derived stem cells into PCa.